Used watches for sale Dageega.com offers the service of listing your watch and contact details on our website promoting direct contact between yourself and potential buyers thereby eliminating any interference by a middleman. The process is quite simple! Just upload pictures of your watch, and any details you wish to add, and a potential buyer will contact you either through your listed telephone number, or email. Our site allows you to list your watch according to the city you live in, so buyers from the same city can contact and meet you face-to-face. We advise that these meetings take place somewhere public as a coffee shop for example. The original box and certificates contribute to increasing the value of your watch tremendously. So we recommend adding their pictures to your listing to prove the authenticity of your watch. After listing the watch details, a space is provided to insert any comments that you may want to add; like where the watch was purchased and whether it is still under warranty. Unlike most online second-hand watch retailers, we at Dageega.com do not interfere with the price stated for your watch. You can list your watch at any price you deem appropriate! We only charge for the listing, so our levy is per watch only. Our price is fixed and is not a percentage of the listed watch’s price.We charge SAR 100 (Saudi Riyals). You will have the opportunity to showcase your watch with up to ten pictures and include detailed information regarding it. When the watch is listed on the site, you will be able to see how many views it has received. Not only that, we even provide an added feature that allows interested buyers to mark a watch as a favourite! Anyone on the site will then be able to see how many times a watch has been marked as a favourite increasing the potential of a buy due to its popularity. 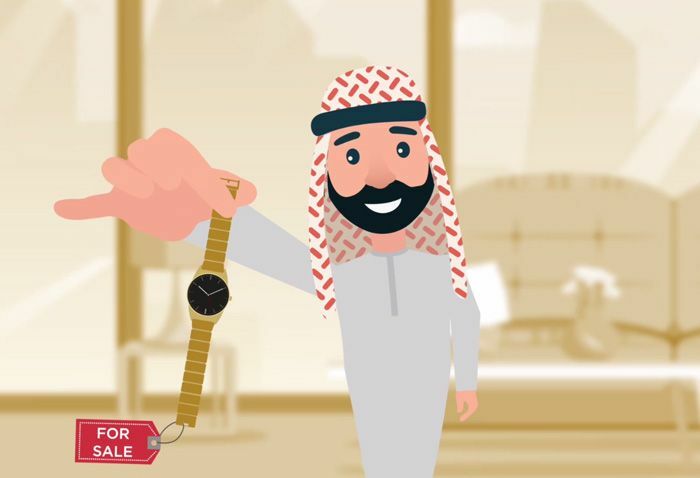 When your watch has been sold successfully, you can change the status of your watch to reflect the sale 'sold’ by logging in to your account. By doing this, your contact details will be removed and you will no longer receive enquiries regarding the sold watch. Copyright © 2019 Dageega . All Rights Reserved.